A catheter is a hollow tube that is inserted into the bladder through the urethra to remove urine from your bladder. It can be left in place for hours or days to alleviate your need to go to the bathroom or to use a bedpan if you are restricted to bed or are numb and can't feel the need to urinate. A full bladder in labor can become distended and cause the baby to have trouble moving down into the pelvis. It may also prevent a baby from being able to rotate into a good position for birth. This is one of the reasons it's recommended that laboring women go to the bathroom once an hour in active labor onward. There are a few times during labor that a urinary catheter might be used. In labor and delivery, this is used when you receive medications like epidural anesthesia or have a c-section. It is used during these procedures because you are not able to get up and move around to use the bathroom and because you may not feel the need to urinate. The bladder catheter would ideally not be placed until after the epidural is working well. This will prevent you from feeling the insertion. While putting in a catheter isn't terribly painful, it is uncomfortable, particularly when you're also having contractions. If someone asks to do the catheter before you get an epidural, ask them if there is a reason that it can't wait until after the epidural is in and working. This is usually not a problem. During a cesarean, in addition to the above reasons, the bladder is at risk of being injured during the surgery. A catheter helps to ensure that the bladder is empty and as small as possible, keeping it away from the surgical field. There are also other measures in place to protect the bladder. 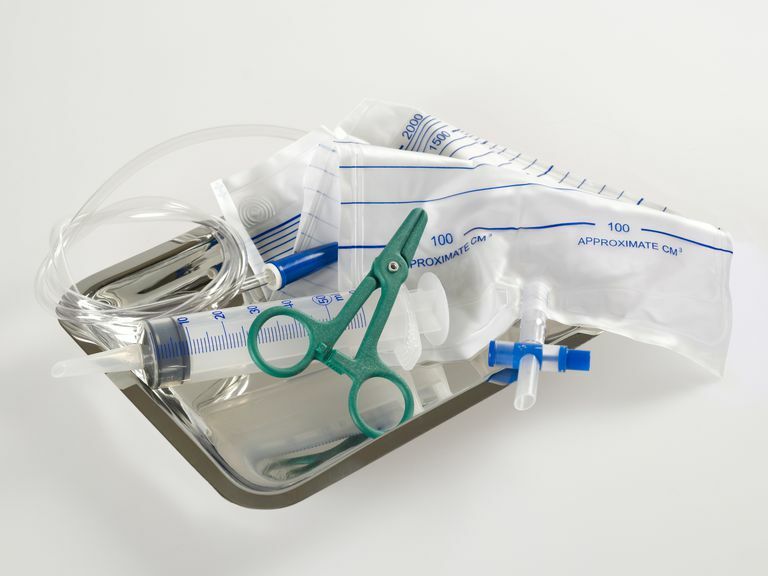 A catheter can also be used temporarily, this technique is called an in/out catheter. This may be done if you are having trouble locating the muscles needed to urinate. This can happen occasionally in late labor when you have so much going on in your body, or if there is swelling. Other tricks to help you urinate are typically tried including running water, having you get in the shower to try to urinate there, lots of alone time in the bathroom. This can help alleviate the pressure you may feel because a full bladder can be painful, and help the baby and labor progress normally. This can happen, even if you do not have medications. A catheter may also be used if you must stay in bed for any reason and a bedpan isn't working or appropriate for you. (Some mothers prefer a catheter to a bedpan.) It may also be used if the doctors need to collect your urine for testing for any reason. When Would a Catheter Be Removed? The catheter will usually be removed once the birth is imminent, and may be replaced after the birth, staying several hours postpartum or the next day if all is going well. You may wind up keeping the catheter a bit longer if you have had surgery. This depends on your ability to get up and move around.